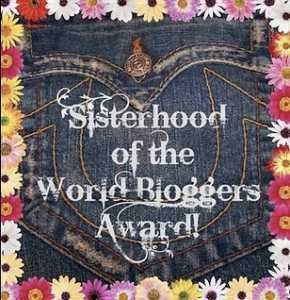 Here’s some great Sunday evening news: I’ve been nominated for the “Sisterhood of the World Bloggers Award!” Many, many thanks to Minnie of Life in 100 Words for her nomination; it’s my first one. I’m basking in love and support over here! 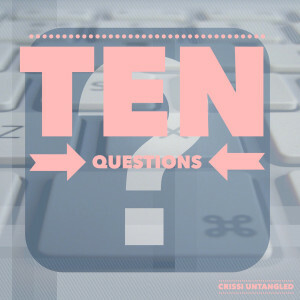 I decided to create Crissi Untangled because I grew tired of internalizing my feelings and thoughts. I didn’t want my self-doubt to keep crippling me. Blogging is a way to prove to myself that my voice matters and to connect with others who can relate to my experiences. 4. What’s the hardest aspect of being a writer/blogger? “Pretty Little Liars.” Been down since Day One. 8. 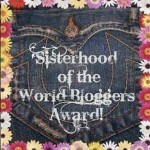 Any advice for aspiring bloggers? Don’t straddle the fence like I did for several months. If even the slightest urge exists for you to create a space for yourself and your voice, just do it! To continue my growth as a young woman and a writer, build the Crissi Untangled brand, and live a mentally, physically and spiritually healthy life. Pretty much any kind of rice. What’s the silliest nickname you’ve been given? One of the things on your bucket list? Worst day of the week?